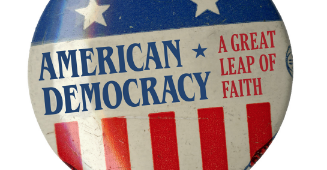 Explore how Americans have used protest and civic action to affect change and address public issues. 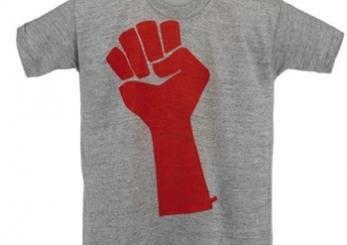 This image is of a student protest t-shirt made during the Harvard University student anti-war protest and sit-in of the administration building, 1968–1969. 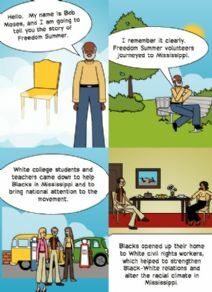 This activity is designed to allow students to either reflect on a Freedom Summer newsletter and create a graphic comic strip based on ideas/content contained in the newsletter or depict how the National Youth Summit helped to shape/inform their understanding of self, society, civil rights, freedom, etc. Students will have an opportunity to briefly familiarize themselves with artist/activist Candy Chang’s work, which has been seen worldwide. Afterward, they (like Chang) will have an opportunity to create a social justice “word wall” and make images of their work available to the public. Students will have an opportunity to examine advertising strategies and historical voter registration propaganda. Afterward, they will have an opportunity to create their own voter registration slogans and/or advertisements in an attempt to encourage their increased participation in school, community, local, and/or national elections. 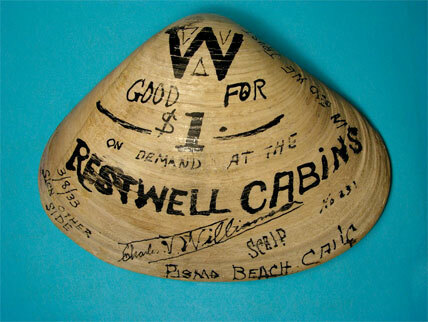 In this post, readers have the chance to see and learn more about a few objects from the Sewall-Belmont House and Museum collection. The Sewall-Belmont serves as the historic home for the National Woman’s party and so has a rich connection with the history of the woman’s suffrage movement. 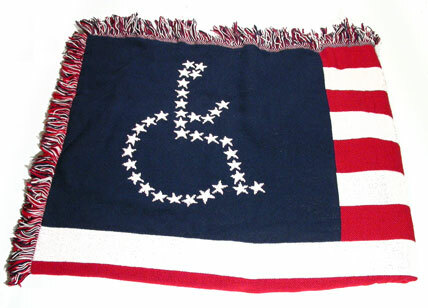 Written by Elspeth Kursh of the Sewall-Belmont House and Museum, this post is published on the Museum's "O Say Can You See?" blog. This inquiry leads students through an investigation of students’ rights and the First Amendment to the United States Constitution. By investigating the compelling question, students consider the ways in which their rights provide a unique perspective on learning about the First Amendment and the extent to which schools are “special areas,” in which various courts have made rulings that may be seen as limiting students’ First Amendment rights. 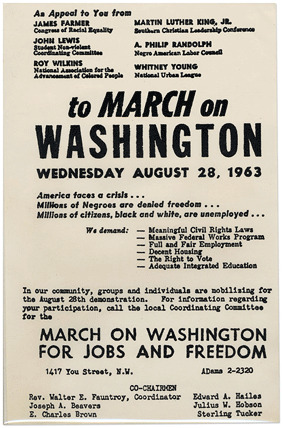 The March on Washington, August 28, 1963, was the largest civil rights demonstration the nation had ever witnessed. One hundred years after the Emancipation Proclamation, 250,000 Americans of all races gathered to petition the government to pass meaningful civil rights legislation and enforce existing laws establishing racial equality. The March for Jobs and Freedom was conceived by A. Philip Randolph, leader of the Brotherhood of Sleeping Car Porters, coordinated by Bayard Rustin, and supported by almost all the major civil rights organizations and many labor unions and religious organizations. Its speakers included Randolph, John Lewis, James Farmer, Walter Reuther, and Martin Luther King Jr., whose "I Have a Dream" speech invoked the hopes of all Americans seeking racial justice. This handbill was donated in 1964 by Rev. Walter Fauntroy, a principle organizer and chairman of the Washington, D.C., coordinating committee. It is one of many items in the Museum's civil rights collection that helps document and preserve this pivotal event in American history. This inquiry is focused on the compelling question “Is protest patriotic?” The question challenges the notion that protest against authority is unpatriotic and asks students to consider whether America’s democratic institutions are strengthened through occasional opposition to American leadership. This inquiry deals with the Vietnam War era (1964–1973), focusing primarily on the national and international challenges America faced during the presidential administrations of Lyndon Johnson and Richard Nixon. Students have an opportunity to learn about the reasons for and against the antiwar protests of the Vietnam War era, the methods used to protest the Vietnam War, and the ways in which America’s towns, schools, and families were divided over war policy. In investigating the compelling question, students grapple with issues related to message versus method: Could one agree with the message of antiwar protesters while disdaining the methods of protest? Could one support Nixon’s goal to stem the spread of communism while protesting the bombing of Vietnamese and Cambodian villages? This inquiry challenges students to examine their own views on patriotism and evaluate whether a soldier with a rifle and a protester with a bullhorn can be equally patriotic. Protest signs are a powerful and important way for people to express their feelings. 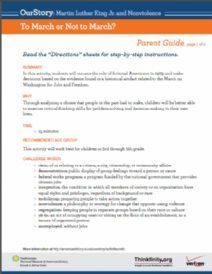 In this activity children will compare two protest signs from the civil rights movement and then create their own expressive chalk art or poster. 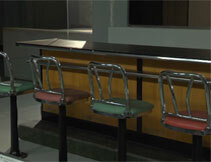 It is included in an OurStory module entitled Students Sit for Civil Rights. OurStory is a series of modules designed to help children and adults enjoy exploring history together through the use of objects from the Museum's vast collections, quality children's literature, and engaging hands-on activities. 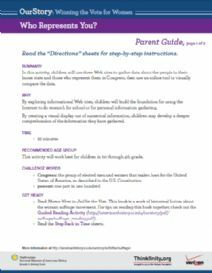 Ideal for afterschool use, OurStory resources allow children to think critically, to be creative, and to achieve academic standards both in and out of the classroom. 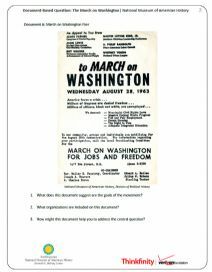 In this activity, children pretend to be an American during 1963 and decide whether or not to join the March on Washington. 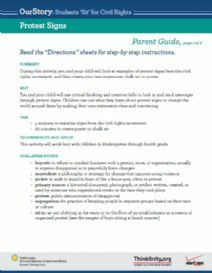 Children base their choice on information gathered through guided observation of a handbill from the march. Included in an OurStory module from Smithsonian's National Museum of American History entitled Martin's Big Words, this activity is designed to help children and adults enjoy exploring history together through the use of children's literature, everyday objects, and hands-on activities. Cesar Estrada Chavez, the founder of the United Farm Workers of America, is one of the most recognized Latino civil rights leaders in the United States. A Mexican American born in Yuma, Arizona, his family lost their small farm in the Great Depression (1930s). Like many Americans, they joined the migration to California and worked for low wages in its great agricultural fields. The agricultural industry in the West was a modern, market-driven phenomenon. In 1965, the United Farm Workers of America, led by Cesar Chavez and Dolores Huerta, began its five-year Delano grape strike against area grape growers for equal wages for foreign workers. 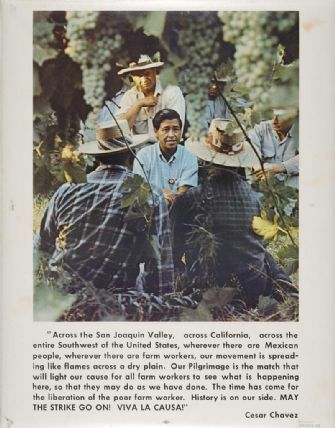 Filipino and Mexican Americans who labored in California vineyards were suddenly visible in the eyes of American consumers. The movement to boycott table grapes mobilized students and educated consumers across America. The text on this poster, printed around 1970, describes Chavez's vision of political and economic emancipation for farm workers. La Causa, or The Cause, as it was known among Mexican Americans, was the political and artistic touchstone of the Chicano movement. Use three Web sites to gather data about the people that live in your home state and those who represent you in Congress. Then use an online tool to make comparing this information easy! 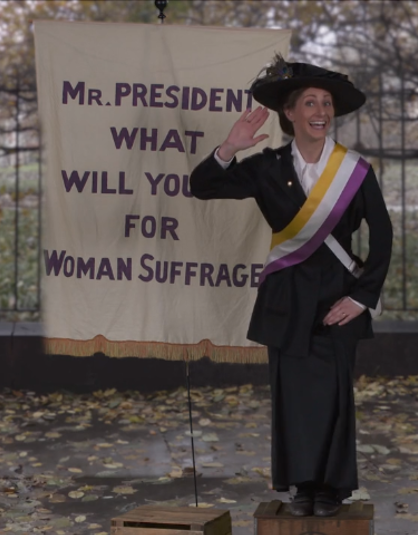 Included in an OurStory module entitled Winning the Vote for Women, this activity is designed to help children and adults enjoy exploring history together through the use of children's literature, everyday objects, and hands-on activities. 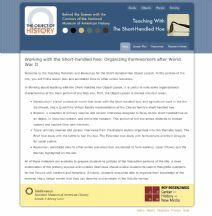 This teacher's resource challenges students to think about the short-handled hoe and its connection to agriculture and the organizing of Latino farm workers after World War II. It includes a preliminary activity intended to introduce students to doing history with objects and 3 lesson plans focused on Cesar Chavez and the struggle of Latino farm workers for social justice. Also included are annotated links to other online resources that are related to farm workers, Cesar Chavez and the bracero program. 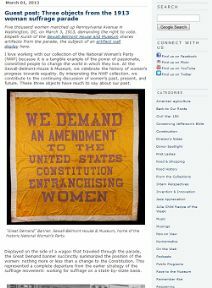 This resource is incluced in The Object of History, a cooperative project between the Smithsonian's National Museum of American History and George Mason University's Center of History and New Media.